WCRE is proud to have exclusively represented Marine Environmental Remediation (MER) Group in the relocation of their new 7,300 square foot Southern New Jersey Office Headquarters to 225 Executive Drive, Moorestown, New Jersey. The MER Group was founded with the express purpose of becoming the World’s gold standard in ship recycling by exceeding all regulatory requirements for worker health and safety and environmental stewardship. The company is responsible for reverse engineering large commercial ships, naval ships and other types of vessels using a safe and environmentally friendly method. 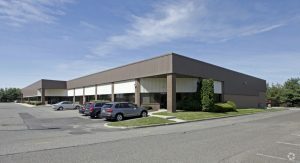 225 Executive Drive, located in Moorestown West Corporate, in Moorestown, NJ is owned and managed by Mack-Cali Realty Corporation. The Moorestown address of 225 Executive Drive will bode well for the MER Group’s new headquarters. Christopher Henderson, Senior Associate of WCRE exclusively represented the tenant in this transaction. Tim O’Brien, Senior Director of Leasing for Mack Cali represented the ownership.